Please select headset color for availability! 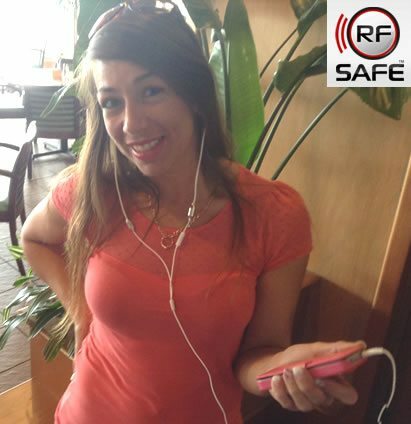 See video showing microwave radiation emitted from a headset wire below! 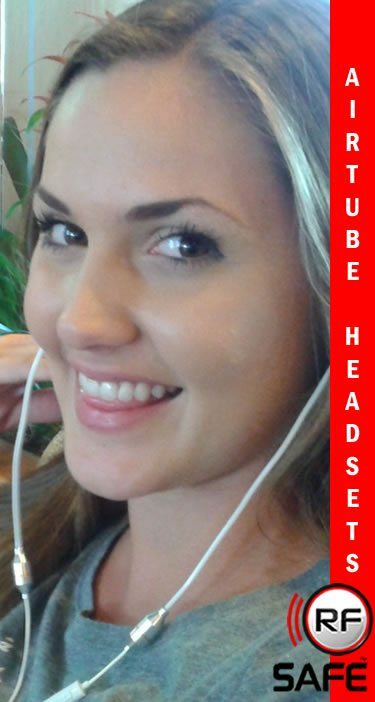 Click here if you prefer a Stereo Air-Tube Headset (Dual Buds) GREAT for Music Enthusiast! 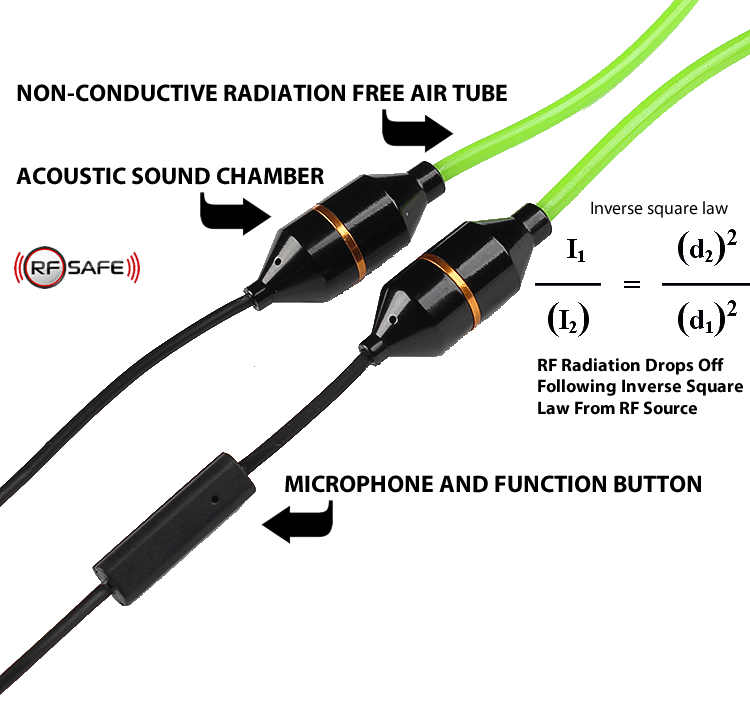 NOTE: to use RF Safe 3.5mm air-tube headsets – the iPhone 7, iPhone 7 Plus, iPhone 8, iPhone 8 Plus and iPhone X all require the 3.5mm to Lightning Adapter that was provided with your new iPhone – Another option is to use your air-tube headset wirelessly with RF Safe’s Bluetooth 3.5 mm dongle with air-tube headsets. 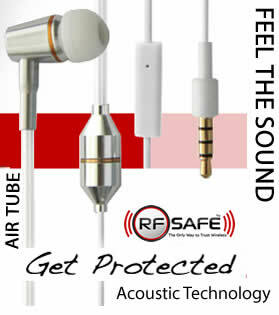 The RF Safe air tube headset incorporates some of the most durable electronic components on the market today. 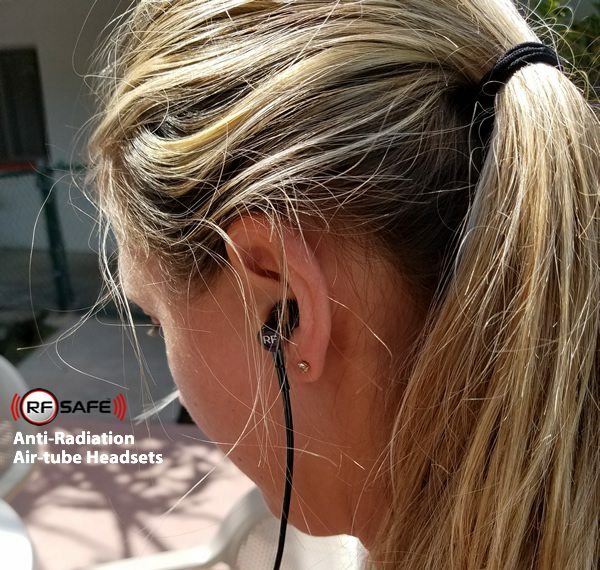 Sleek and sophisticated in design, the RF Safe Air Tube Headset is the new standard by which all new radiation safe headsets will be measured. Watch the below video and this youtube video using a diode meter too! As cellular phone use increases throughout the world so do concerns about the potential health effects of electromagnetic radiation. 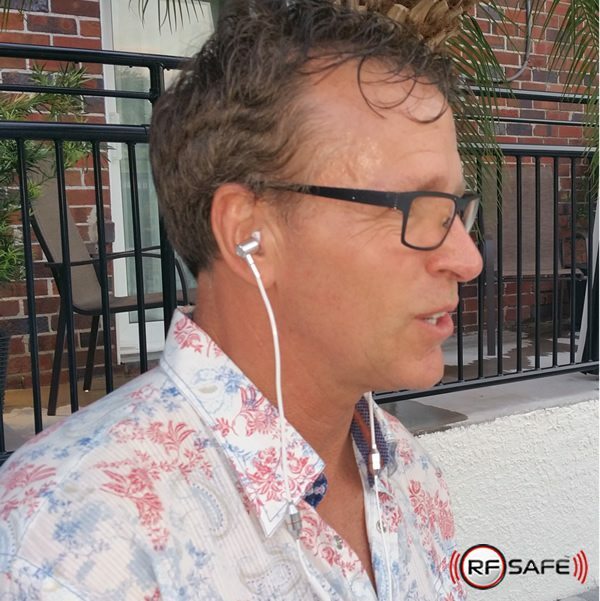 The RF Safe Air Tube Headset was developed with these issues in mind! 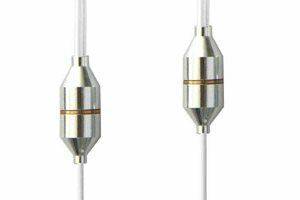 This stylish RF Safe air tube headset is available with a 3.5mm audio jack, which will fit all Apple smartphones. iPhone 7 and up models require the adaptor that was packaged with your new iPhone. Acoustic sound chamber replaces electrical components. 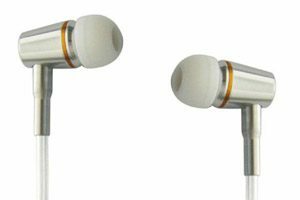 The crisp clean sound is delivered to your ear via the air-filled wireless tube from state-of-the-art speakers preventing microwave radiation exposure.